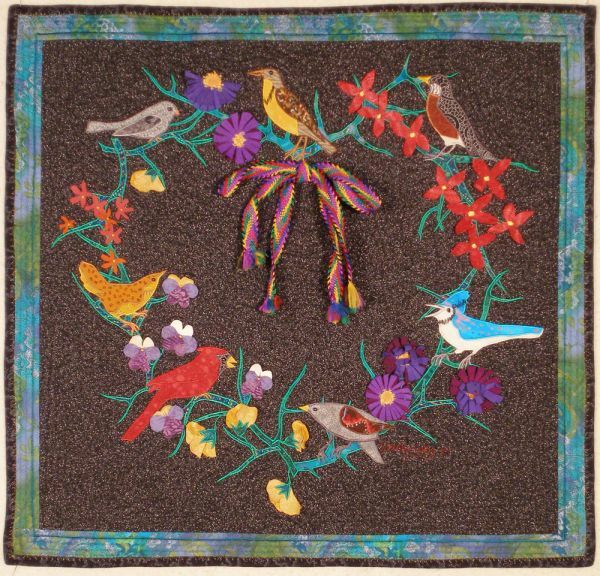 This pattern features appliqué twigs and leaves and common North American birds and flowers. Although the original pattern was set in a wreath shape, you could easily rearrange these elements as swags for a banner, borders or even a skirt bottom! 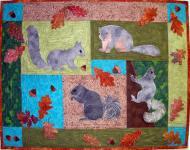 This pattern would also be perfect for embellishing clothing, especially on a vest or jacket! There are ten flowers with instructions for making them 3-D, and fifteen birds in this pattern. This is the photo on the cover of the pattern. 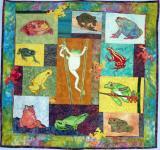 This quilt measures 33" x 45". This is another layout to consider for this pattern.